Four-Part Singing at its Finest, The MoonRays sing Solid Gold Classics in an unforgettable Doo-Wop Style! Whether you want A Cappella or a Full Band, The MoonRays come with their own set up of sound & lighting, and will truly Entertain your event! These Four handsome men can be dressed in their Classic Bowling Shirts, or for formal events, they will don Dressy Black Duds & a skinny tie! Don't forget to mention “GigSalad” when booking to save $50 off sound/lighting equipment rental! Probably the best entertainment we have ever had!!! Our company has an annual event where we cater to a bit of an older crowd (60's). I was a bit skeptical because the management (Ken) was in California and we are in Florida. These guys delivered on everything we asked. From a business side...the contract was easy. The rider and our requirements were a breeze. They showed up on time...they brought what they were supposed to (sound equipment). The dressed the part and put on the show. From and entertainment side....They were Great!!! Our group was clapping, singing, and many got up and danced!!! The guys had every song we wanted....and sang with professionalism and kept the pace up and put on a First Class show. Earth Angel, Barbara Ann, Blue Moon - All the 50's and 60's hits. It is amazing how much sound 4 guys can produce with no band, no help, and just a microphone. Don't think twice about booking this group.....your event will be a success!! Tom! THANK YOU! This is very kind, and we are so appreciative. The guys said you took great care of them at the event, but most importantly, I'm glad your guests had a great time. That's what this is all about...spreading joy. Thank you for taking a chance on us, and hopefully we can do it again soon! 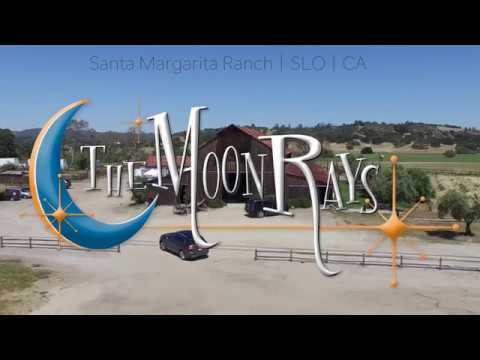 You will not regret booking The Moon Rays! Wow, Amanda! Thank you for the awesome review! You were such a joy to work with on ALL levels, and we appreciate you giving us the opportunity to entertain you all. Cheers to you and Zack, and we hope to see you both again!!! My family were so impressed with the talent and professionalism of the Moon Rays. From corresponding,booking,communicating, the actual performance,I haven't a single complaint. I would absolutely hire this group again! Thank you so much for your review Michelle! We had such a great time at your fathers celebration! Absolutely Beautiful Arrangements and Harmony. I hired the MoonRays to perform two songs at my mother's memorial service. At my request, they learned new and complex arrangements for songs not in their repertoire. Their a cappella performance of What a Wonderful World and Smile was absolutely beautiful, moved people to tears, and was the highlight of the ceremony. Perfect harmony and pitch and just the right blend of uplifting, with a little melancholy. And they were professional from beginning to end, with Ken responding promptly to every call and email, making sure they were dressed to coordinate with the event, and showing up early to test equipment and run through a dress rehearsal. We could not have been more pleased. Dear Michelle, we truly appreciate your kind words. It was an absolute privilege to honor your Mother with her favorite songs. Thank you for allowing us this opportunity, and for your generosity. Highly recommended. Amazing performers, very professional and cooperative. Thanks so much for your review, Beata! We had a great time performing at the wedding reception and hope to get the chance to entertain you all again! The perfect entertainment for our party! 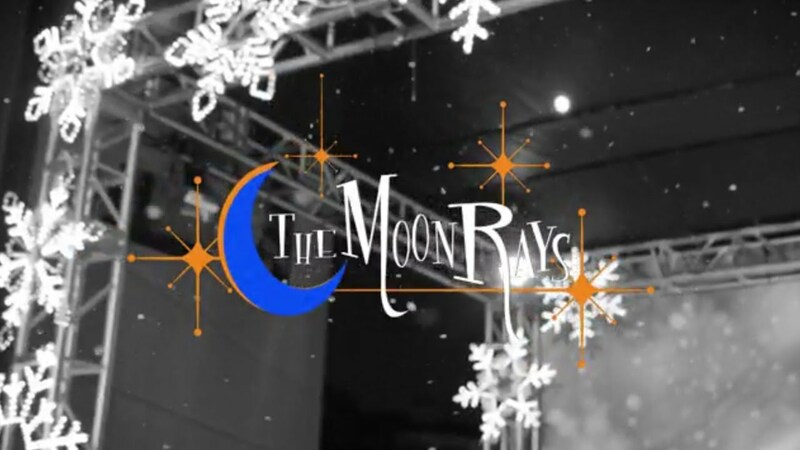 The Moon rays came to perform at a 50th anniversary party. We were surprising the guests of honor with an duwop serenade and they were perfect! All of the guests raved about them and two are even looking to hire them for future parties. The guys are talented, fun, and so easy to work with. Thanks SO much for your awesome review, Cara! We loved performing for you all and look forward to the opportunity to do it again! The Moonrays were absolutely an amazing group to work with. We had them perform multiple times throughout a 3-day conference and even asked them to add on another gig for us last minute. After our initial discussions, they needed little to no management onsite and exceeded everyone's expectations. They jazzed up our attendees every morning and were always there on time and very professional. They are also extremely flexible and willing to step up and step-in when you are in a pinch. I only hope that I get to work with them again in the future! They would be a great addition to any event you are having. Brittany - Thank you SO much for your glowing review! We had a wonderful time entertaining you and your group and would love to work with you again in the future! Thank you for enhancing our Fundraising Event! The guests truly enjoyed your strolling music. We booked the MoonRays for a corporate event. They were very professional throughout the entire hiring process and very accommodating to all our requests. The event was beach themed, and the MoonRays really brought the event together and we've received lots of positive feedback from happy attendees. Thanks so much for your review, Christine! We really enjoyed performing for you all! We had a great experience at Estancia Del Sol! Thanks so much for your review, Tara! We always have a wonderful time performing for the residents at Estancia. Looking forward to our next few performances there, as well! I highly recommend the Moon Rays. They were a hit at our party, very professional and incredibly talented. Our party had some special circumstances and they were flexible, helpful with suggestions right up to the very minute the performed. Thank you for making our event so special. Thank you so much for your compliments, Alicia. It was an absolute pleasure performing for you all and we hope to get the opportunity again! I used The MoonRays to serenade my girlfriend while I proposed to her at the Ivy Restaurant in Los Angeles. They were great! They looked good, sounded good and were great sports! Tom, we're so glad we were able to add to your memorable moment! Thanks so much for your review! 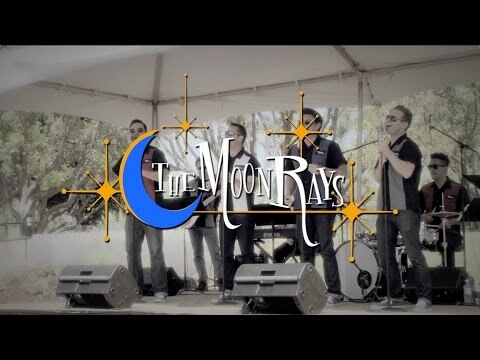 I first saw the Moon Rays a few years ago performing at Knott's Berry Farm I was blown away. They were a summer act Knott's had hired, and being a pass-holder I returned more than a handful of times and each time my family and I looked for them. They started out as a stage performance group, which was great to see. The group 'members' changed frequently and it was always great to see a "new" face. They interacted with each other and the audience flawlessly. The comedy they threw into their half hour sets was pretty perfect for the era they're going for (doo-wop). They next year they became more of a strolling act, walking around the boardwalk area of Knott's and even into the Johnny Rocket's restaurant. It was nice to be able to get close to the act and even interact and dance around with them. They have great arrangements, an awesome sound and really fantastic presence. They're a good looking group of guys who definitely have it together! Thanks so much for the review, Rebecca! 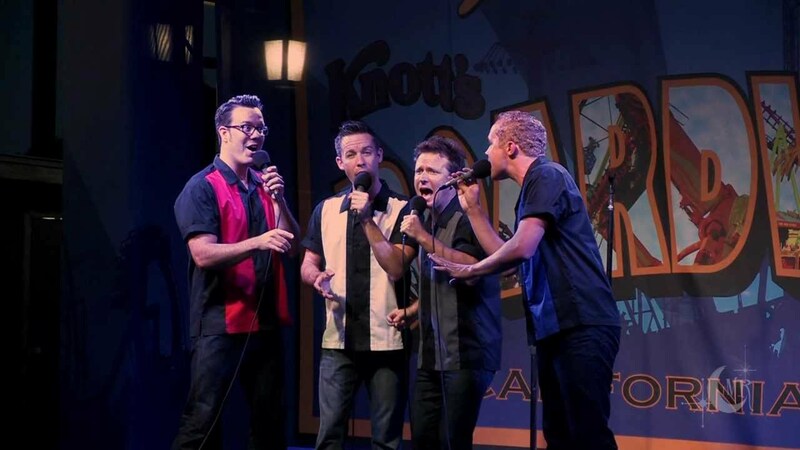 We're happy you enjoyed The MoonRays at Knott's! 1) Full Stage Production: Choreography, comedy, costumes, with vintage microphones, and stage lights. 2) Jukebox Concert: Background entertainment for your office party or backyard BBQ! No matter what the venue, we can act as the "Jukebox" for your party. Complete with full sound/lights if needed. 3) Strolling Set: Atmosphere style, off mic, with a personable feel tailored to your event. After getting their start at Knott's Berry Farm in the summer of 2012, founder, Ken White (Bass), took The MoonRays to the next level! He developed an energetic, traveling doo-wop show, by collaborating with his talented friends & family, and set out to entertain the world with a new & unique Ultimate Dop Wop Experience. 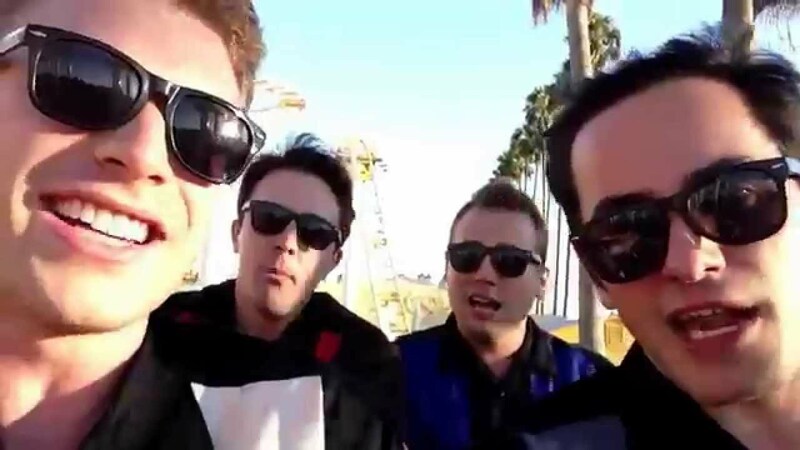 Whether A Cappella, or with the Full Band, the roster of talented singers & musicians is comprised of professional, handsome entertainers hailing from Southern California & Florida, having graced many popular performance venues including: The Disneyland Resort, Disney World, Universal Studios Hollywood, Knott's Berry Farm, multiple Cruise Lines, plus many more! Full Sound offered for a small rental fee. Includes beautiful Vintage Microphones that add just the right touch. Full Light package available for rent to visually enhance any style of MoonRays show.